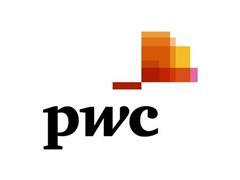 London, 7 September 2016 – London claims pole position for the second time in a row in a comprehensive benchmarking study of 30 leading business centres globally, boding well for its ability to withstand post–Brexit competition on a number of fronts. Singapore comes second in PwC’s Cities of Opportunity Index; Toronto third, with Paris and Amsterdam completing the top five. Overall, European cities take four of the top ten places. PwC’s Cities of Opportunity 7 provides a balanced benchmarking of the social and economic health of 30 of the world’s leading business cities. It measures their performance against 10 indicators including transportation and infrastructure, ease of doing business, demographics and liveability, technology readiness and cost. The report demonstrates that cities succeed not only when they perform well economically, but when they succeed in providing a range of social features, including good quality of life, senior wellbeing, housing, and disaster preparedness—each of which demonstrates a strong relationship with top cities in the study. As the report’s methodology and data is based mostly on the two years before the UK decision to exit the EU, the Brexit vote does not impact London’s position in the Index this year. However, detail in the report’s wide ranging measurements give an early indication of both the city’s international strengths and areas it will have to compete on post Brexit. The message won’t be lost either on European and overseas city competitors who see opportunities to challenge London’s position as the UK plans its exit from the EU. Cities of Opportunity’s comprehensive measurement of major centres of business, commerce, intellectual capital and culture, highlights the complex economic and policy challenges cities face to succeed. London retains the first position for the second edition in a row, and extends its lead against close rivals in the study. The city is among the top three in six indicators covered by the study, including intellectual capital and innovation; technology readiness; city gateway; demographics and liveability; economic clout; and ease of doing business. Any effects Brexit may have on London will take place in a process that will evolve over time and not overnight. Questions include the effects on talent mobility and migration, trade, investment and regulation, among others. Singapore, the city-state renowned for its planned development, comes in second – up from third position in 2014. In addition to ranking #1 in three indicators – technology readiness, transportation and infrastructure and the ease of doing business – the city performs well in the area of tax. An analysis of corporate total tax rate, personal rate, and tax efficiency shows that Singapore, along with Dubai and Hong Kong, have the lowest rates and highest efficiency collectively. Toronto, third in the study, ranks in the top 10 in seven of 10 indicators, and does particularly well in categories that speak to the daily needs and concerns of urban residents – finishing second in health, safety and security; second in cost; and third in sustainability and the natural environment (tied with Seoul). Paris rises to fourth position overall from sixth in 2014 despite a decade of economic pressure and more recently, terror attacks. Paris performed strongly across the measures, the only city to make the top 10 in 9 out of 10 indicators. It returns to first in demographics and liveability overall, tying New York. Paris also bounces back to 2nd as a city gateway after falling to 7th in 2014. Amsterdam enters the study for the first time this year – in fifth position. The city finished in the top five in three indicators (intellectual capital and innovation; technology readiness; and sustainability and the natural environment). It also finished in the top 10 in a further four indicators (city gateway; health safety and security; demographics and liveability; and economic clout), challenging the traditional urban powerhouses. At #6, New York remains part of a global urban elite – but drops from second position in 2014 and first-place rankings in the editions before that. The city scores lower in many of this year’s newly-introduced measures and is overtaken by other cities’ gains in existing variables. It needs to improve substantially in sustainability and the natural environment, and health, safety and security (both #16) as well as cost (#25). On the upside, the city finished #1 (tied with Paris) in demographics and liveability, #2 in economic clout, and #3 in technology readiness (tied with Amsterdam). Stockholm, seventh, performs particularly well in the area of sustainability and the natural environment (#1 tied with Sydney) and transportation and infrastructure (#3). In addition, the city outscores all others in two new variables, senior wellbeing and water-related business risk. Beijing, which retains its overall #19 spot, performs particularly well in two study indicators: city gateway (#3) and economic clout (#3). Eight different cities finish first in at least one indicator. One of them – Johannesburg – tops all cities in competitiveness on cost, but isn’t in the overall top 10. While the need for risk resilience is not new, the stakes of disaster have skyrocketed with cities facing increasing risk from extreme weather, terrorism, nuclear mishaps and other manmade threats, as well as disease. This year’s study shows that the most vulnerable cities can also be the most resilient. Tokyo came top in exposure to risk and in their ability to deal with it – outperforming all other cities in natural disaster preparedness. Amsterdam has the second highest disaster vulnerability but the fifth highest preparedness. Because no two cities are the same, the study suggests each city needs to develop its own individual strategy to understand strengths, weaknesses, and identities and then orchestrate growth to suit its own profile, building on opportunities and also tackling challenges like providing affordable housing, knitting together effective public transit and reducing disaster exposure. 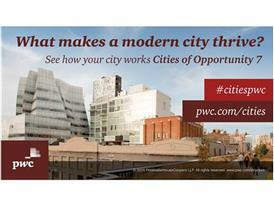 The complete ranking and a copy of the full report are available at http://www.pwc.com/cities. 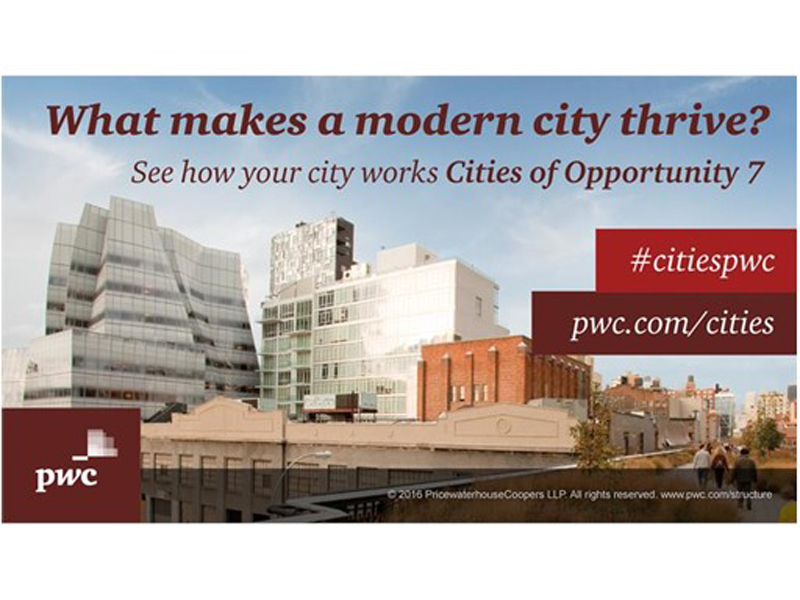 PwC’s Cities of Opportunity 7 report measures 30 cities across 10 indicators including transportation and infrastructure, the ease of doing business, demographics and liveability, technology readiness and cost. In addition to the overall ranking, the study also ranks cities against each of the 10 indicators. Brexit and London scoring. London’s performance, as that of all our 30 cities, is based on a methodology assessing data mostly from 2014-2015, and as a result the recent UK referendum vote to leave the EU (June 2016) does not affect the Cities of Opportunity data and report. Future editions will try to gauge the short-and medium-term impact of the vote to leave the EU, if any. But right now, the city remains the most global in the UK, and a major financial center with a rich foundation of human capital and flexible tradition to build on. In order to make each of our 10 indicators ever more accurate and representative, we’ve increased our variables from 59 in our last report to 67 in this one and, in the process, added 15 entirely new variables while deleting or modifying another 12. Amsterdam, Bogotá, and Lagos enter the study for the first time this year. As a result, direct edition versus edition comparisons for all results is not possible. Cities of Opportunity 7 is based on publicly available data, using three main sources: global multilateral development organisations such as the World Bank and the International Monetary Fund; national statistics organisations, such as National Statistics in the UK and the Census Bureau in the US; and commercial data providers. The data was collected during the third and fourth quarters of 2015. Cities included in the report are: Amsterdam, Beijing, Berlin, Bogotá, Chicago, Dubai, Hong Kong, Jakarta, Johannesburg, Kuala Lumpur, Lagos, London, Los Angeles, Madrid, Mexico City, Milan, Moscow, Mumbai, New York, Paris, Rio de Janeiro, San Francisco, São Paulo, Seoul, Shanghai, Singapore, Stockholm, Sydney, Tokyo and Toronto. What makes a modern city thrive?